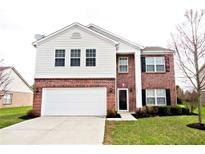 Below you can view all the condos for sale in the Limestone Springs subdivision located in Fishers Indiana. 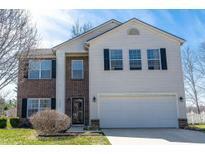 Listings in Limestone Springs are updated daily from data we receive from the Indianapolis multiple listing service. To learn more about any of these condos or to receive custom notifications when a new property is listed for sale in Limestone Springs, give us a call at 317-987-2530. Wonderful relaxed neighborhood has swimming pool, workout center, club house, walking trails, playground, basketball and volleyball courts. 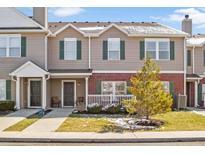 MLS#21632653. CENTURY 21 Scheetz. The schools for this location are Sand Creek Elementary and Intermediate, Fishers Jr High and Fishers High School. MLS#21629810. RE/MAX Legends Group. Move in ready with so much to offer, this home won't last long! MLS#21631091. The Cooper Real Estate Group. Close to I-69, Ruoff Music Center, Hamilton Town Center w/ plenty of great shopping/ dining! MLS#21631090. ERA Real Estate Links. Clubhouse, pool and playground area in this development. MLS#21629752. F.C. Tucker Company. You will love this maintenance free lifestyle in desirable Limestone Springs. MLS#21622827. Newkirk Realty. Hardwood in great room area, kitchen has maple cabinets, center island, a large pantry and eating nook with bay window , bedrooms are excellent sizes with great closet space. MLS#21619502. RE/MAX Ability Plus. Wonderful relaxed neighborhood has swimming pool, workout center, club house, walking trails, playground, basketball and volleyball courts. MLS#21613505. Keller Williams Indy Metro NE. Taxes will be lower with Owner Occupied. Like New MLS#21605671. Indiana Golf Homes.